The Midstream industry deals with transportation of crude oil, from its place of extraction to the processing plants. LTI brings about transparency in data to help organizations identify areas of opportunity, thus maximizing safety, environmental protection and profits. We provide solutions like Fleet Monitoring, Advanced Pipeline Leak Detection, Field Workforce Mobility, and ETRM (Energy Trading and Risk Management), which helps Midstream companies mitigate their business risks. Integrated Operation Center (IOC) serves as the central remote monitoring & management center for integrated data visualization, near real-time collaboration, and deep analytics for disseminating information to all stakeholders for actionable insights. IOC facilitates timely decision-making by providing situational awareness and fully coordinated recommendations & early warnings, in addition to end-to-end visibility of operations. IOC consists of multiple use cases related to Integrated Pipeline Monitoring Center for pipeline leakage detection, corrosion monitoring, integrity management, safety/security, volume balancing, direct observation, emergency response system; Intelligent Well Monitoring; Integrated Plant Operations and Monitoring. Oil & Gas enterprises face challenges in meeting regulatory compliance, public & environmental safety, operational efficiency enhancement and cost reduction. LTI offers Pipeline Scheduling Systems Implementation, Pipeline Safety, Control, and Flow Measurement Systems, Leakage Detection (field sensors, SCADA systems, real-time transient model) and Pipeline Corrosion Monitoring. 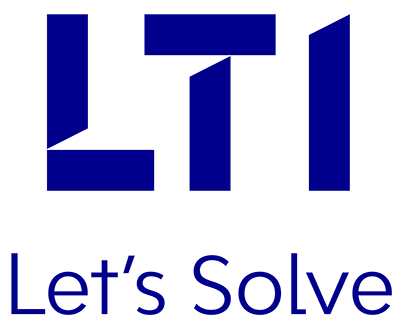 Through LTI’s Pipeline Integrity solutions, we aim to add value through reduction in OPEX and pipeline downtime, and saving control center and field operations effort. Our Advanced Leak Detection System deploys a real-time Transient Model for storing data from input SCADA, and detects and locates pipeline leaks accurately, thus leading to reduction in maintenance and operating costs. LTI brings together deep expertise in the Energy industry, and excellence in technology, to develop custom solutions for managing trading, the associated risks and their settlements. We offer implementation, integration, end-user support & testing of ETRM applications; enhanced analytics; and development of custom-built trading applications. We have helped clients improve time to invoice through automation, improve data visibility through reporting on mobile devices, thus providing business users with critical information on-the-fly through enhanced analytics. Effectively monitor Oil & Gas Pipelines to prevent risks concerning fluid spill, and workforce & environment safety. Predictive Maintenance of ageing pipelines via intelligent wear & tear detection / prediction. LTI identified need of Integrated system for trade life cycle management, compliance reporting, pan Europe scheduling and Invoicing.